Indian Vanity Case: Eyelash Extensions, Anyone? I'll go to the Eyelash Extensions Salon right after breakfast, as soon as it opens. Maybe I'll tie a scarf on my head. Novalash Studio, Select City Walk Mall, Saket. I gave it a visit to ask about everything. Application Time: It takes 2 hours or more. Cost: Rs.5700 for top lashes. How long do eyelash extensions last? 4 weeks. They start to fall off gradually. Yes, lashes will probably look uneven eventually. After Care: You can't use mascara, no makeup removers, no rubbing. How it's done: Single lash fibers are glued to your natural lashes - one by one. There are different lash sizes and shapes. Also, you can decide on the density, whether you want them thicker or not. 2 hours just lying there. When you're pregnant, you can't lie on your back (or in 1 position) for long + you need to visit the loo every 10 mins. So it would have been one of the most uncomfortable experiences. There's another reason, a deal-breaker, something to do with the person who was supposed to do the extensions on me, but it'll sound kind of mean if I say it. So I won't. Husband also disapproved, because of point 1 & 2. If you're disappointed that I didn't do it & am not able to show you the results, don't worry. It's at the top of my to-try list & I'll do it one day. It's just wrong timing right now. In case you decide to go for it, I advise you to do your research first. Just make sure the salon uses safe products, especially the glue. It has to be formaldehyde-free. 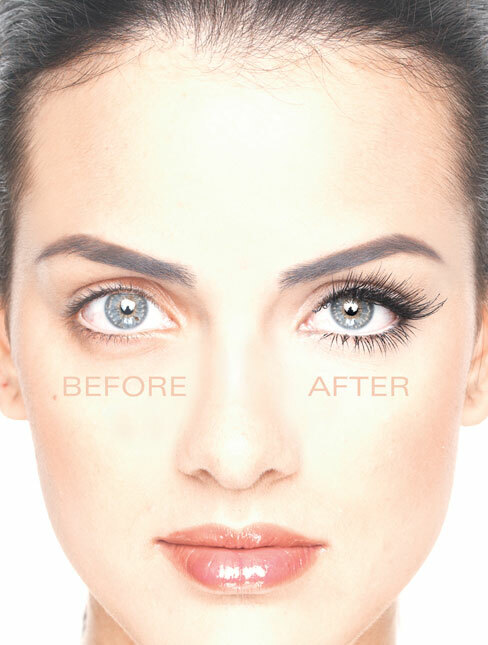 So, how many of you are ideal candidates for Eyelash Extensions? It sounds a little scary, and no makeup remover? How will you remove eye makeup then? Or We could use oil based cleansers like the TBS/Clinique one. I wouldn't want to do an eyelash extension, simply because of the cost, and eventual uneven lashes.I never actually thought about it, you made me curious about it now. Eyelash extensions are not for me CZ. I would find even sometimes mascara very thick on my lashes like I am wearing false lashes.Use castor oil+vitamin e oil regularly on lashes upper and lower for thick eye lashes. You can use the same on eyebrows too. Please don't do it. I think its foolish to tinker with your eyes. There's always mascara and false eyelashes but please don't go in for these kind of procedures. Just my personal opinion (I'm anti Botox, juvederm etc too). Its impossible not to use makeup removers or rub your eyes. And after all that you pay, it lasts for only 4 weeks? I think its pretty ridiculous and not at all worth it! Wow, that IS expensive! Eyelash extensions at a very decent salon here in the Philippines only cost Php 650 which is just about the same price in rupees. Of course, I have never tried it. I am Indian with naturally thick/long lashes and most Filipinos have sparse lashes. So it's pretty popular here. Thanks for letting me know Jyoti! <3 Yes it's mine. I will report it to Google. If the effect is not even permanent then i think we can go for alternates like false lashes because once you remove them, u can let your eyes be free.. Good that you opted out of this Cynthia..
One can apply Castor oil at night using a cotton Q tip to the lashes for thick and longer lashes. In probably a few months, you will start feeling the difference. I am blessed with thick, long, curly lashes & I use castor oil at times to keep them in good condition. its really scary and its something I've never heard or seen of. But I ll share it with of my concerns !! It appears very scary, but its different also. It can stick to mascara and falsies.